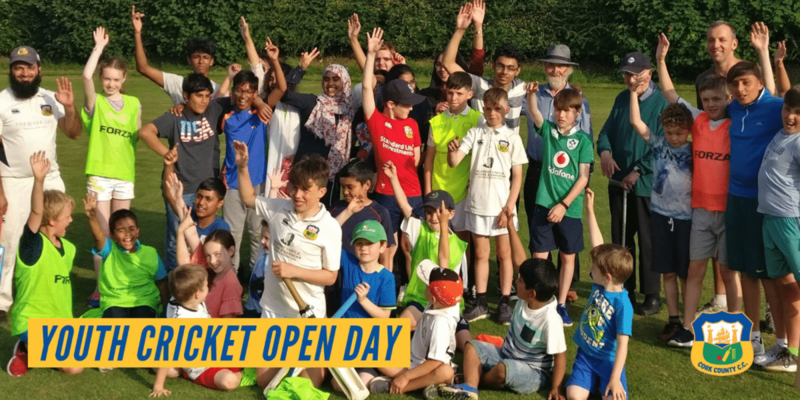 Children aged 5 to 15 are all invited to come along to enjoy some cricket, learn some skills while getting some fitness at the historic Mardyke cricket grounds on Sunday, 28th April, between 10 a.m. & 1 p.m.
Bring your friends and have a go for free. All gear will be provided by the coaches at Cork County Cricket Club. If you are new to the game or you have friends you can bring, you are very welcome to come to the club for 3 hours of cricket games and related activities. Test your catching and throwing skills in fun games, see if you can hit a six or bowl a yorker. Club coaches will be running the event and will help all children to have fun and have a go. No cricket knowledge or experience required! Look forward to seeing you there. Register on Eventbrite – and in the first name box, please enter the name(s) and age in brackets of the participant. 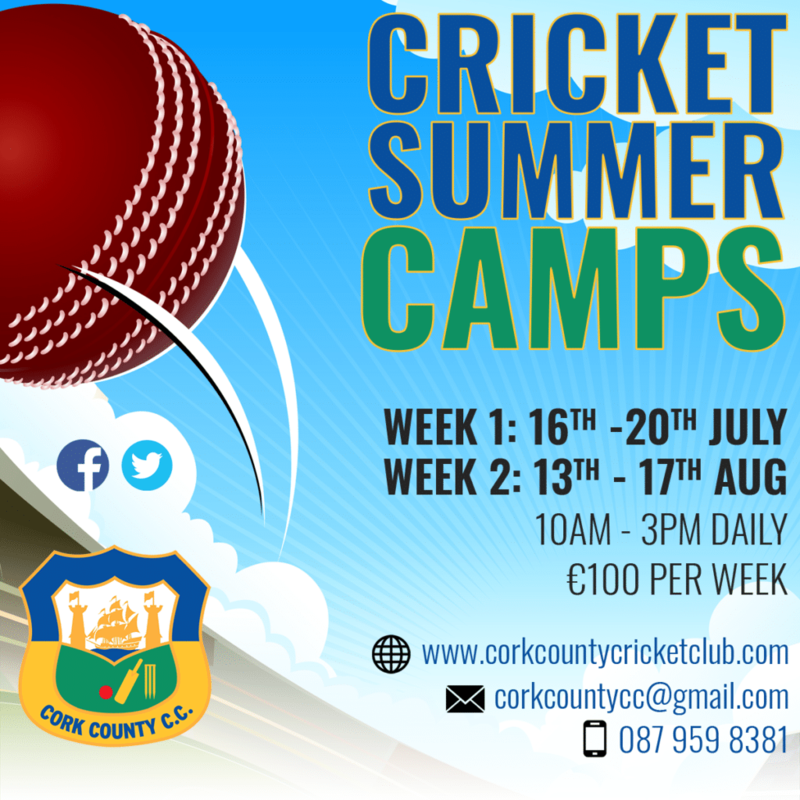 Cork County Cricket Club will be hosting two Cricket Summer Camps during the months of July and August. The Summer Camps will last for 5 days (Monday to Friday) and take place between 10 a.m. & 3 p.m. daily under the supervision of our fully qualified coaches, Cormac Hassett and Jeremy Benton. If you wish to register for a place in either or both Cork Cricket Summer Camps then please contact Brenda Kennedy at Cork County Cricket Club, Richard Beamish Grounds, Mardyke, Cork or via the contact details below. 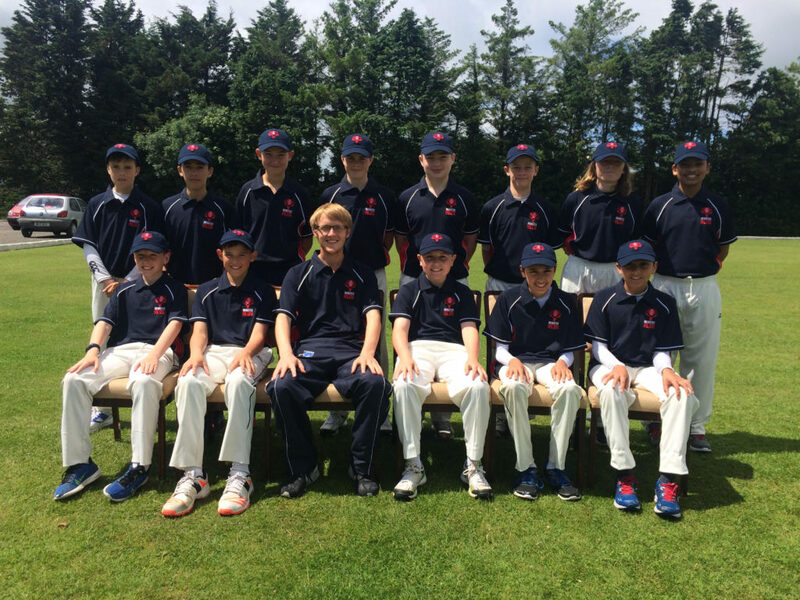 Cork County lost to Headfort School U13s at the Mardyke on Saturday. 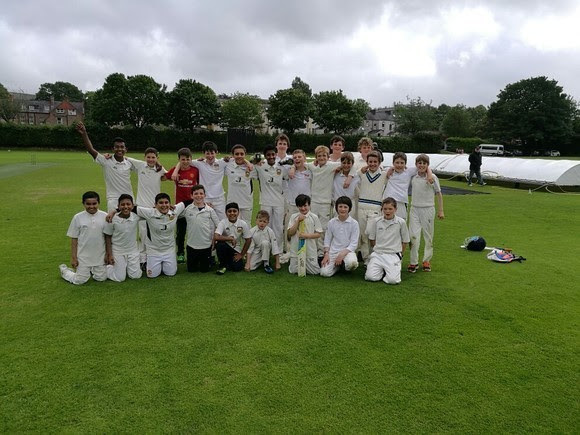 A very young County Cubs side, with many playing their first hard ball game, provided a competitive match to an older and more experienced Headfort School team. The game was played in an excellent spirit, which is a tribute to both Headfort and County’s approach to the game, while County players were a credit to the club and the experience will stand all in good stead. Thanks to Youth Coordinator, John Simon, and also to the parents and families of the County players who helped out at the game today, providing a wonderful tea and company to the travelling team. 2017 Youth season is almost here! 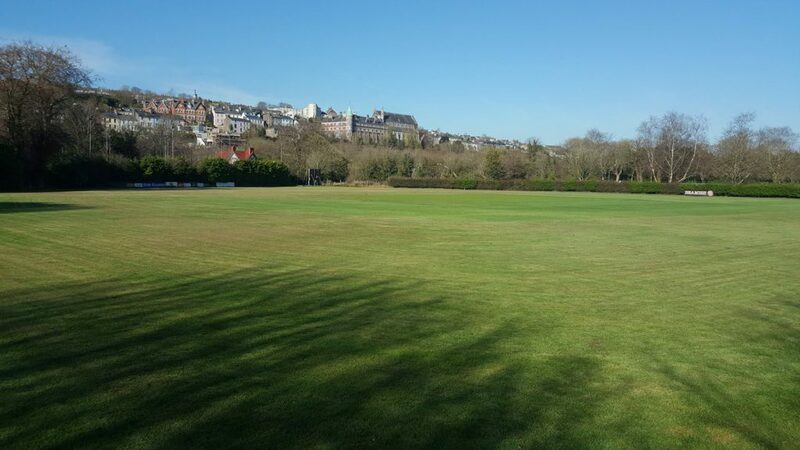 As you can see from the picture below groundsman Matt Reed has been hard at work on the ground at the Mardyke and we have to say that we are looking forward to the new season which gets underway in a matter of weeks. Club Registration for the 2017 season takes place along with a kit day on Sunday, 9th April, which will be followed by a Mini Blitz on Saturday, 15th April, at the Mardyke. The Cork County Cubs will be hosting a special challenge fixture against their U14 counterparts from Cork Harlequins on Friday, 2nd September, to mark the end of the Munster Youth season. Following a highly competitive U14 league season, the two sides will be facing off one more time as we head in to the off-season break. Friday evening’s games will be the last youth cricket of the 2016 season. So with fine weather forecast we will be hosting a BBQ for our youth teams and families, so even if you are not playing, come on down from 5pm. The following is the U14 Cork County Cubs team selected to play Harlequins at the Mardyke on Friday September 2nd. All players are requested to be at the Mardyke by 16:30 latest, with the match to start at 17:00. 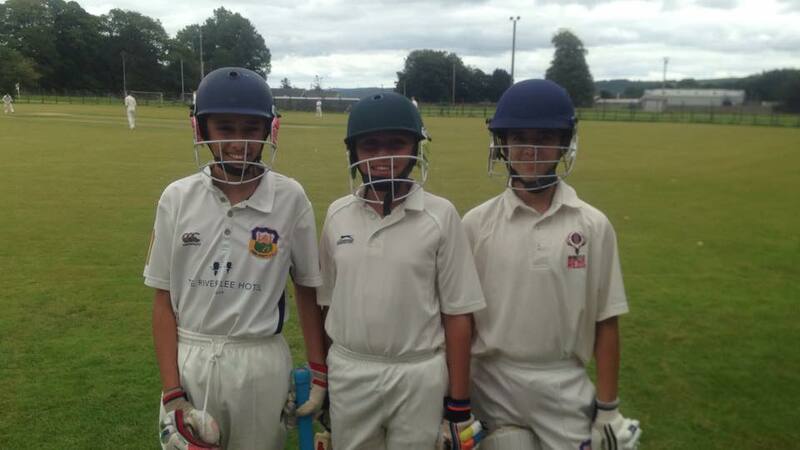 Congratulations to the Cork County Cubs players who starred for the Munster U14 XI who beat Cork Harlequins by 6 wickets at Farmers Cross on Wednesday, 24th August. The Cubs players involved were Eshan and Rioghan O’Sullivan, Alex McAllen, Haroon Saffi, Masroor Salam and Daniel Kennedy. Each of the Cork County youngsters contributed on the day with the O’Sullivan brothers and Haroon each taking a wicket as the Munster team dismissed Harlequins in 31 overs for just 79. Best of the Harlequins batsmen were Hickey (24) and Higgins (12). Egerton was the stand out Munster bowler with figures of 3-10 off 6 overs. In reply, the Munster XI chased down the target of 80 in 25 overs, with C. Egerton 17*, E. O’Sullivan 13 and S. O’Reilly 12 the best of the Munster XI batsmen. Our sincere thanks to Cork Harlequins for organising the challenge fixture at Farmers Cross. 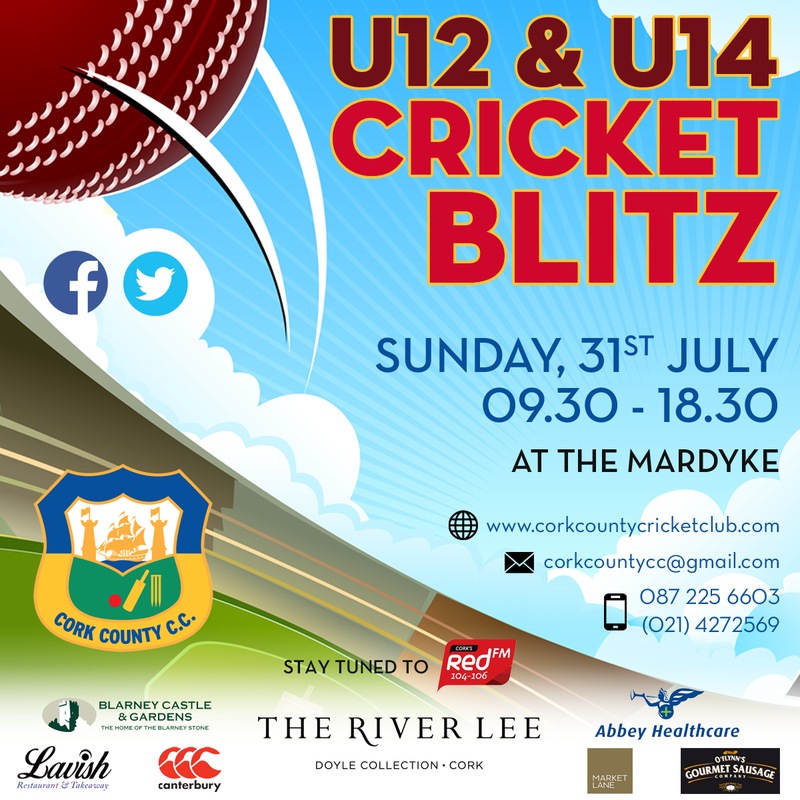 Cork County are pleased to unveil details of an U12 and U14 Blitz to be played at the Mardyke on Sunday, 31st July. There will be 2 competitions run on the day at both U12 and U14 levels for what we hope will be a great day of underage cricket. Organisation of the event is thanks to Cork County’s Youth Administrator, John Simon, in conjunction with his compatriots at each of the visiting teams so it is hoped for plenty of support on the day. 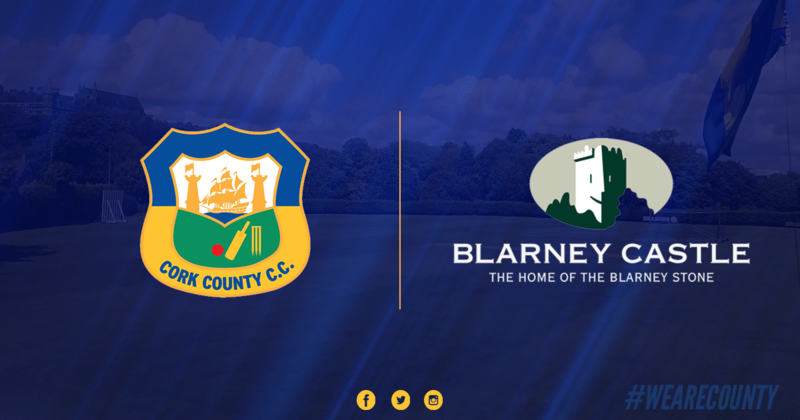 Can all Cork County players who wish to confirm availability, do so on Teamer by clicking here. The day will be approx 9 hours tops (9:30am-6:30pm) with 10 teams participating, with up to 100 children on site. The gate will be manned for that period to ensure site security for the kids involved and volunteers will be club members, parents and visiting team mentors/parents. A first aid station will be manned for the day by the for the St Johns Ambulance for day. Cork County will be covering costs via fundraising which will happen on the day. The club will make food available at a nominal charge for same, however we also suggest that all players bring a drink and some food for the day. Cork County will be putting up an U12 and U14 shield for the event. The club bar will be open for the day for teas/coffees etc. throughout the day. The event will be used as an opportunity to fundraise for the club with a raffle being organised with spot prizes which we hope for your support. Registration forms will be provided on the day and all players must register prior to playing. The tournament will be played between teams with 8-a-side format with maximum of 11 players per team. No player is allowed to play for more than one team at the same age level. Players are allowed to play for different teams at different age levels. In an event of dispute, the main umpire’s decision is final. Each participating team is to nominate a main umpire for the day who will be allocated matches to umpire. U12 Matches will be played using soft cricket balls. Stumps will be provided for each match. Teams/Players must bring their own gear. Points are awarded to teams for the 5 rounds, with the top team being awarded the shield. If teams are level on points, the head to head result between the top 2 teams will decide. If that was a draw then Runs Scored over the entire tournament will decide the winner. Failing this it will be a bowl out. U14 Matches will be played using Junior Hard balls. Stumps will be provided for each match. Teams/Players must bring their own gear. Format is a knockout competition, with all teams playing at least 2 matches. Each innings will be of 6 overs or 30 minutes in time, whichever is reached first. For any innings which do not complete 6 overs in 30 minutes, a penalty of 2 runs per ball not bowled will be applied against the bowling side. Club umpires should bring a watch to time innings. A Minimum of 3 bowlers have to be used, bowlers can bowl maximum of 2 overs. No substitution of players is allowed during a match unless a player is injured or unable to play. Substitute will only be allowed to field. There will be up to 3 matches played simultaneously. A new ball is to be provided at the beginning of each inning for all the U14 games. If there is a dispute of any sort with any call, Organizers call will be final. There will be several designated areas for rubbish disposal. Water bottles and other items should be disposed in the designated areas only. Each team manager is responsible to make sure your team members comply.